Tap tap tap, tappety tap tap, tap tap tappy tap, tappy tap tap… oh, sorry I was just busy typing something. Typing words into a computer is a breeze for me with my giant keyboard and giant fingers, heck, I could type all day (if anybody asks – I do type all day). But when it comes to typing on my smartphone, I often struggle. It’s never fast enough, it never autocorrects autocorrectly and it often leads to frustration: that's why I've been investigating the best keyboard apps for Android. Here's what I've found. Google? Never heard of it myself but apparently it's got some good credentials. 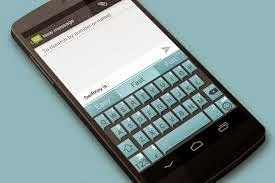 Anyway this "Google" company has made an Android keyboard with a simple and clean interface that just works very well. Material design themes, a ton of languages, text-to-speech, gesture typing – it has a lot to offer. Apparently Google is quite good when it comes to making useful software (who knew?!) 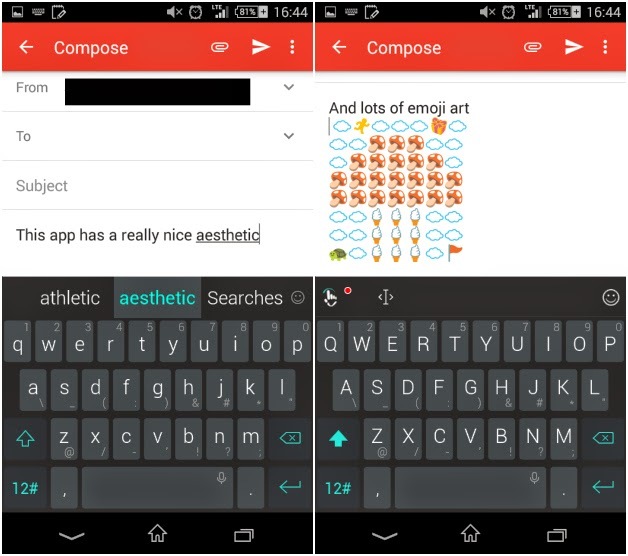 and you can download this keyboard for free in the Play Store with no in-app purchases. 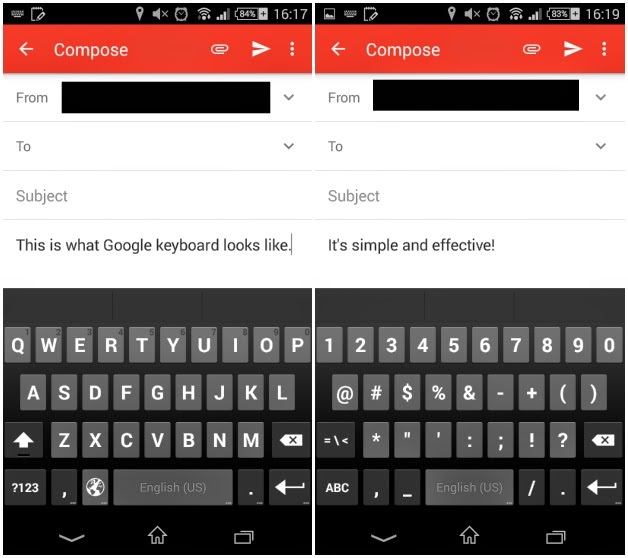 It's compatible with devices running Android 4.4 and up - there's no good reason not to give Google Keyboard a go. Multiling O Keyboard is a feature-packed keyboard app, and while it lacks the understated sophistication of Google Keyboard it does bring a lot to the table. For example, it's the only app on the list to come with a calculator included (for when you want to message your pals and divide 600 by 19) and it has a plethora of customization options. If you're the kind of person who really likes to tinker with every little detail (and we think you are), this app is perfect for you. When I said it had a lot of features, you can check out Multiling O Keyboard's Play Store promo video to take a look at some of them in action. It's over seven minutes long. TouchPal narrowly missed out on my last keyboard list because at the time I didn't consider it to be a "serious" keyboard app. Truthfully, it is still heavily focused on emojis/emoji art/smileys/pictures, but it also features over 85 languages, swipe/glide functionality and cloud prediction and contextual prediction. Don't let its cutesy Play Store store description and branding put you off, there is far more to TouchPal than just colors and themes; as a straight up keyboard for messaging quickly and comfortably, it should easily make its way onto any best keyboard list. 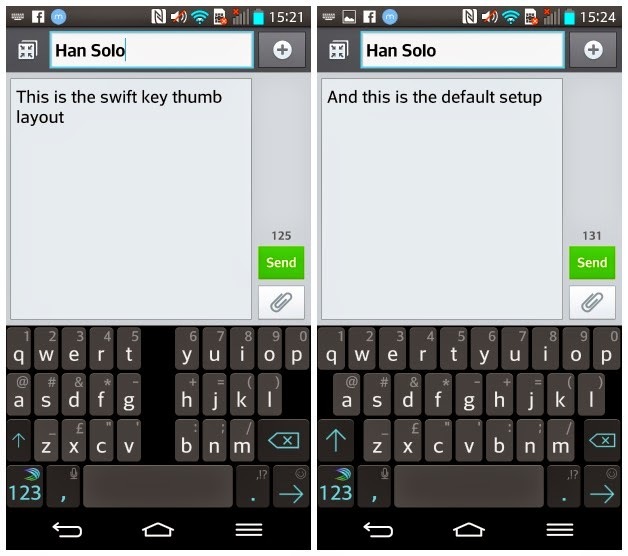 Swype is a popular keyboard which employs the swipe (or "glide") method for character input. You slide your finger across the letters of the word you wish to type, and then let go once it’s finished (you can learn more in our article on swiping verses typing). 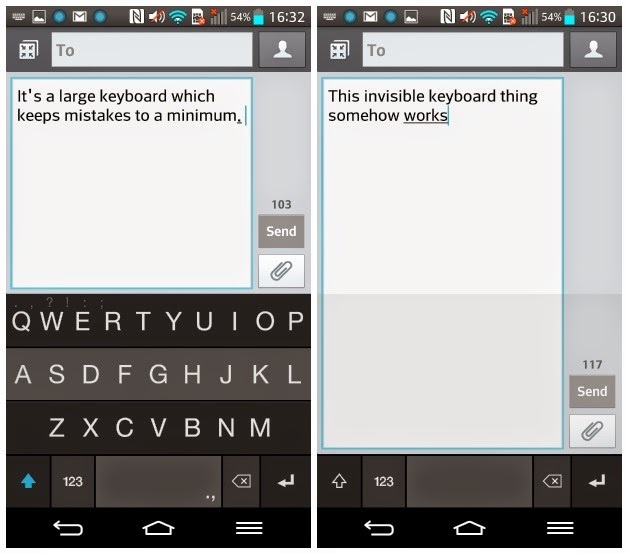 It's a common feature on a most keyboards now, but nowhere is it better implemented than in Swype. 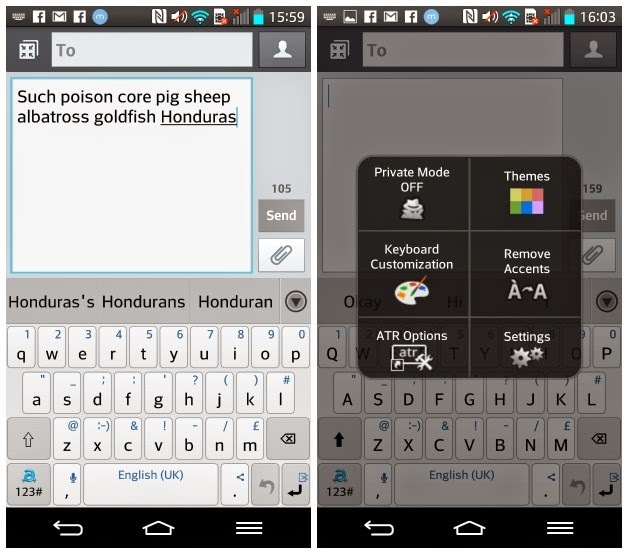 Swype learns from your messaging habits, automatically updating its dictionary with new phrases that you type. It creates automatic spaces between words to speed up your workflow and adapts to common mistakes you make. Only when you’re swiping very fast do you encounter problems, but it’s silky smooth for the vast majority of the time and highly responsive. I’m a long-time fan of Swype, though I recognize the swiping technique is an acquired taste. If you want the best example of it, however, then look no further than Swype - the autospace feature alone means faster typing. Possibly the most well known keyboard app on the Google Play Store, SwiftKey has one of the finest typing interfaces available on Android. 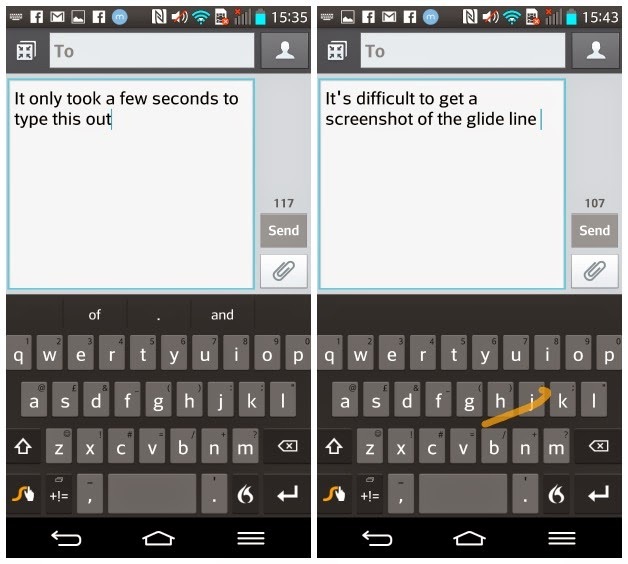 Like Swype, you can type in the traditional manner or use swiping (which SwiftKey calls "flow"), and both methods function equally well. Swiftkey isn’t the only keyboard that offers predictive sentence creating but it might be most useful here. Based on past messages you have typed, SwiftKey is able to guess what the next words in your sentence will be. For example, if you normally follow the word “how” with “are you,” then you can be sure that when you type "how" in future it will offer "are" as the next word. It's an attribute that often allows you to type common sentences in seconds. There are some great options for keyboard size and layout to suit most preferences, including an intriguing “thumb” mode which creates a space between the left and right half of the keyboard. I don’t know exactly how this improves functionality when using your thumb, but it certainly didn't harm the experience in my tests. It's a convenient keyboard and is the only completely free product on our list. Download it and see what you think. Adaptxt utilizes the standard input method or swipe, but swiping definitely works best. It comes with a number of unique features, like enabling you to post straight to Twitter or Facebook once you’ve typed a message, and it can even use your GPS to give word suggestions, like street names or landmarks, based on your current location. Adaptxt also contains the ability to put your keyboard in “private mode”, meaning it won’t learn any of the terms or phrases you use while its enabled. It's something I'd like to see in other keyboards, though maybe it’s a function that’s of more use to me than most other people. I find it annoying that pressing backspace deletes the whole word, not just individual letters, when trying to make quick edits, and overall it doesn’t seem quite as responsive as Swype. 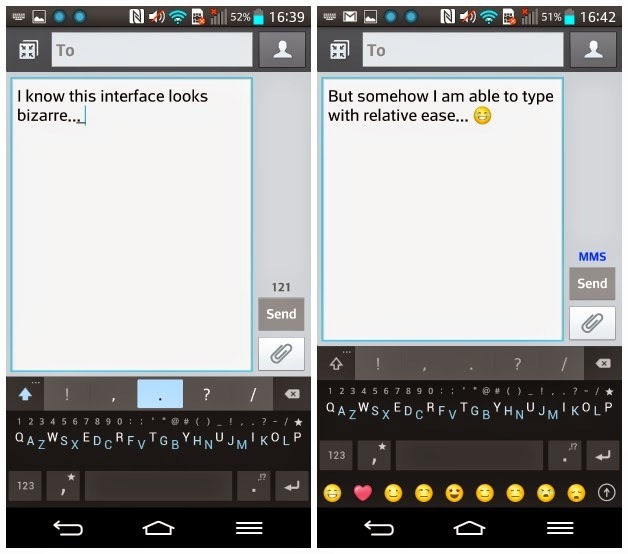 However, Adaptxt beats most other keyboards on features and customization options, so it's well worth checking out. The first keyboard on the list which doesn't employ swiping, Fleksy nonetheless focuses on speed and accuracy, with large buttons and brilliant autocorrect. It's extremely user-friendly but also houses additionally features like keyboard shrink and even the ability to make the keyboard invisible. Typing with the invisible keyboard actually worked surprisingly well (I was surprised it worked at all, to be honest) but I can’t really see a practical application for it, except to show others how quirky your keyboard can be. I find the default button size a bit large for my personal tastes but I can’t deny its efficiency. It delivers accurate typing, and the simple swipe up and swipe down functions for correcting / adding new words to the dictionary are great. Pressing a button or swiping to make a space does seem slow when other keyboards come with automatic spacing, but for those not yet onboard with how swiping handles, this is my top recommendation for standard typing. This is an intriguing little number. The Minuum keyboard isn’t strictly QWERTY-based, but is capable of shrinking in size to allow the alphabet to sit on one line. With such 15px keyboard, Minuum’s autocorrect function needed to be extremely tight to compensate for mistakes, but somehow I was able to type with relative ease and I quickly became proficient. It’s a unique interface and I hope it becomes a success as it genuinely offers something new and credible. I don't usually feel a need to minimize my keyboard, personally, but if it is something you want to do I don’t think you could find a 15pxer or more efficient solution. Will it speed things up for regular users? I'm not sure. Try it for yourself.